In a corner of commercial development, Kiwanians save a place for nature. Fred Nugent says it all started back in 1985. That’s when the city of Hagerstown, Maryland, built Eastern Boulevard as a bypass around its downtown area. The new route opened up the adjoining farm fields to development. The area boomed with new offices for doctors, architects, Realtors, and financial institutions, as well as stores and restaurants. Yet today, at the corner of Imperial and Dynasty Drive, a footbridge carries visitors into a different world. Instead of the vroom of traffic, sparrows chirp. Instead of the beeping warning of delivery trucks backing into loading docks, the meandering Antietam Creek gurgles its way toward the Potomac River. Instead of the hum of air-conditioning units, butterflies quietly flutter among pink milkweed blossoms and purple coneflowers. Welcome to Kiwanis Park — a park unlike any other in park-friendly Hagerstown. The origins of Kiwanis Park go back to 1996, when Nugent and fellow planning commission members worked on a strategic plan and suggested that the city find a way to provide access to Antietam Creek for canoes and kayaks. An economic slump postponed such plans, but Nugent and his fellow Kiwanians kept the idea alive. With an improving economy, Kiwanians asked the landowner to consider donating a plot of land along the Antietam for creek access. City leaders became involved. The soil and water conservation district, the county’s historical society and the watershed alliance also joined the park-planning partnership, along with a group interested in saving the declining monarch population. Today, the former rock path is a paved launch, supported by a soil-conservation grant and designed to withstand Antietam’s spring floods. Monarch butterflies stop to feed, spin cocoons and please camera-toting shutterbugs. Area workers eat their lunches in the pavilion on a hill and stroll through the beautiful gardens. Volunteer archaeologists assist in exploratory digs at the 18th century Saylor farmhouse. When summer temperatures climb into the 90s (Fahrenheit), paddlers cruise the creek, where overhanging tree branches provide a cooling relief in the shade. Foxes stalk through the undergrowth, deer munch on the grass and perch, bass and an occasional trout glide the gentle Antietam currents. Sandy Sagalkin is also impressed. As president of the Monarch Alliance, he conducts educational programs at the park’s Monarch Butterfly Waystation. “Kiwanis Park is a valuable asset to our community, because it is mostly undeveloped and adjacent to the creek, providing — in a very small area — many natural habitats,” says Sagalkin, who also notes that the park is along the monarch butterflies’ eastern flyway. Barbara Rice coordinates volunteers to tend the gardens. It’s an easy task, she says, because people are eager to work among the milkweed, Joe-Pye weed, coreopsis, ironweed, asters, yarrow and other pollinator-friendly flowers. She recalls a time when she paused in her work to watch a woman and three small children wander around the gardens. “As they walked down the boat ramp, the middle child — I’d say he was about three years old — he noticed several monarchs at the edge of the water, and he started running toward the water,” Rice says. “The mother somewhat panicked and caught him before he reached the creek. This story originally appeared in the June/July issue of Kiwanis magazine. What a wonderful nature park that has been created and preserved by Kiwanis and a group of nature lovers and citizen volunteers. This should stand as an example of what dedicated people in any community can accomplish if they all work together. 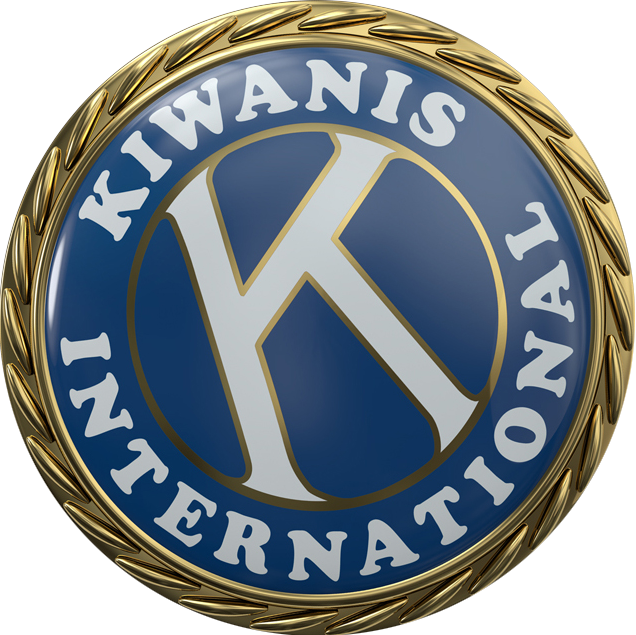 I am a new member of the Allen Park, Michigan Kiwanis. Thank you for this beautiful article. It gives HOPE. This is a great testimonial to the power of good people coming together under the altruistic Kiwanis banner to achieve a great common goal. Congratulations to the Hagerstown club. What a beautiful place. Would love to visit Hagerstown just to experience the Kiwanis Park. Our community is currently creating a new all accessible park in our town of Cheboygan, Mi. Kiwanis is such a blessing to every community. A most beautiful place to relax and enjoy nature. I will certainly visit it when I visit my relatives in Maryland.Congratulations Kiwanis Club of Hagerstown. I am planning to bring this article to the attention of my club members, The Kiwanis Club of Central Portmore Jamaica.